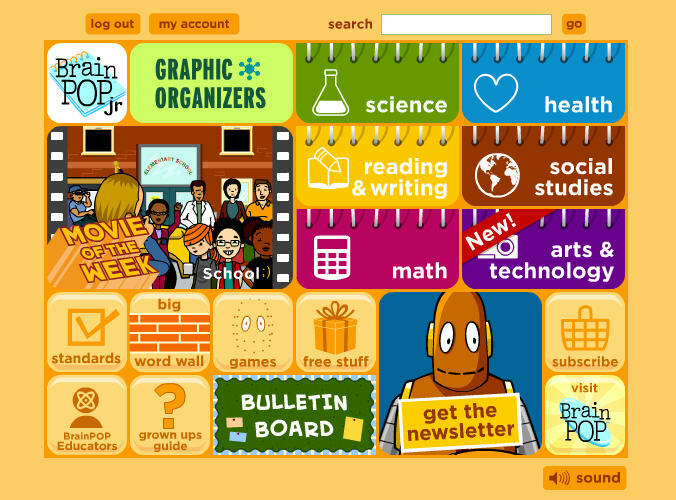 Do you already know about Brain POP? I just found out about this amazing site and was even happier to see that it is available in Spanish (for those of you who are teaching exclusively in Spanish). This website presents animated, curriculum-based videos, games, activities, and lesson plans for a wide range of subjects. Their collection of Spanish science movies alone is incredible. You might also check out their newsletters, which are archived on the site (at least back through March of 2008). Brain POP is not free, but they are so confident that you will love their content, that they offer a free 5 day trial period for you to explore the sites on your own. It is a little pricey ($80/yr) but they do offer a monthly payment plan ($7.95) if you choose the "Family" subscription plan instead of the "Homeschool" plan. (It is a $1 extra for BrainPop Español.) I think that if you would actually use it on a weekly, if not daily, basis, then the price may be worth it. If not, be sure to at least stop by and look at the free videos and stuff that they offer. Brain Pop is for middle- to upper-school students. 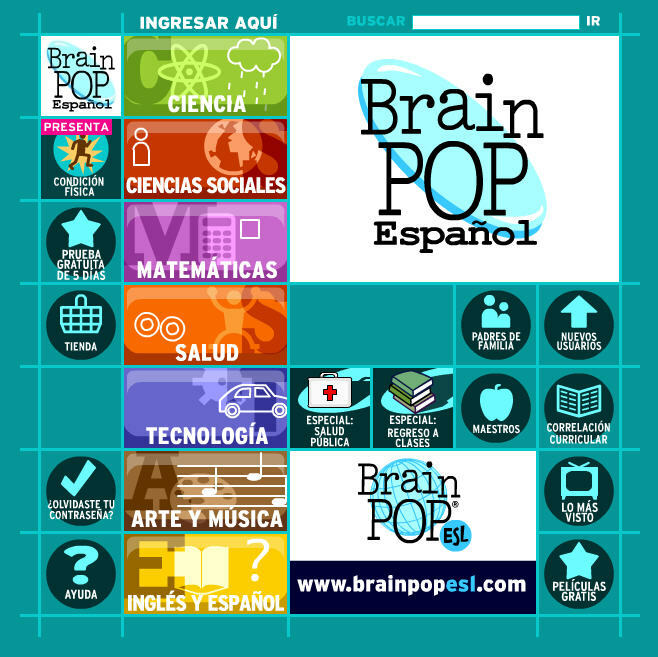 Brain Pop Español is a Spanish-only learning site. Brain POP Jr is geared for children in grades K- 3. I thought so too, Elaine! And by the way, I have been following Teaching Español for a little while now and loving it :) In fact, I want to teach the sentidos poem to my kids.